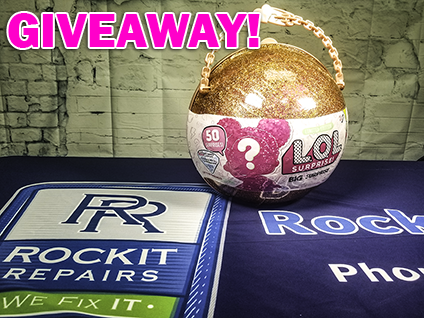 RockIT Repairs™ is giving away the LOL Big Surprise toy this Christmas! To be entered into our contest YOU MUST SHARE THIS POST AND IN THE COMMENTS BELOW TAG TWO FRIENDS that would also love an LOL Big Surprise toy for Christmas. Don’t forget we still have our $100 gift card special for only $90! Gift cards ship free directly to your home or pickup in store.